A couple of days ago I was fortunate to attend Viewing the Victorian Stage on 20th Century Film, an event organised by the Society for Theatre Research. Held in the quaintly elegant surroundings of the Art Worker’s Guild in London’s Queen’s Square, we saw a programme of rare and remarkable examples of Victorian stage practice preserved in one form or another on film. 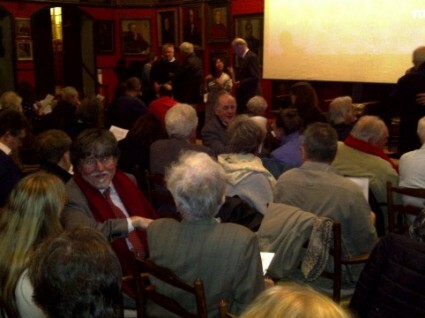 The programme was an outcome of years of research into the Victorian and Edwardian stage on film by Professor David Mayer and Helen Day-Mayer, and complementary research into its stage film holdings by the BFI’s Bryony Dixon. David introduced, Bryony talked us through the films, Neil Brand played the piano, and an enthusiastic and learned crowd lapped up the films with a mixture of amusement and astonishment. We began with Georges Méliès’ Faust aux Infers (France 1903), presented as an example of a diablerie or férique film of the kind that was exhibited in British music halls and American vaudeville houses. The point made was that Méliès constructed a glass-roofed facsimile of his Robert Houdin’s theatre as his film studio, so that he could recreate stage effects as part of his films, using an array of ingenious machinery. For Méliès, film was a means to realise his theatrical dreams. It was so useful to see these films from a theatre historian’s perspective. I have seen Edison’s Japanese Acrobats (USA 1904) before, and marvelled at the great skill on display, but had not known before that it shows an example of a ‘risley act’, named after Richard Risley Carlisle, an American acrobat who juggled with his feet while lying on his back, and act which he took to Japan in the 1860s. Will Evans, The Musical Eccentric (UK 1899) was less dazzling, showing a British variety comedians playing a ukelele and doing somersaults with a chair of the kind which you now see any week in the Premiership when the more acrobatic of footballers has scored a goal. He also had difficulty in keeping in shot, to a degree that you wondered why on earth the film company (Warwick) didn’t retake. But it was an unadorned demonstration of standard fare on a British variety stage on 1899, and that was what many in the audience were hoping to see – film as time machine, showing those who knew their theatre history something of what it was actually like to be there. Particularly precious to witness was Lil Hawthorne sings ‘Kitty Mahone’ (UK 1900). This is a very early example of a synchronised sound film i.e. a silent film of a singer intended to be synchronised with a cylinder recording of their voice. The synchronisation wasn’t perfect, but it was very moving to hear her voice sing out ‘my pretty Kitty Mahone / I’m tired of living alone’ as she gestured to the audience in what looked like the stage of the Hippodrome in London, but which was actually a stage mock-up and was filmed on the roof of the theatre. American Mutoscope & Biograph’s Duel Scene from ‘Macbeth’ (USA 1905) was crude melodrama, Shakespeare reduced to knockabout swordfighting, the kind of rough-and-tumble extracts from plays that existed as popular variety theatre turns. Here We Are Again (UK 1913) was a surviving example of a harlequinade film, of the kind made for child audiences during holidays. It was simple knockabout stuff, but also gave the clearest of echoes to the proto-pantomimes of the early nineteenth century, when every such production had its Columbine and Harlequin. One of the hits of the evening was Le Pied de Mouton (France 1907), a Pathé féerie or fairy play directed by Albert Capellani. 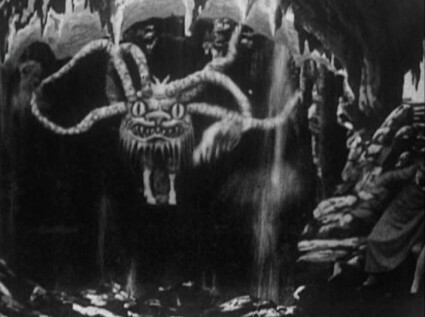 To an audience of early film historians this would have been an interesting example of a fantasy film with two men (brightly stencil-coloured) encountering a giant head in a forest, notable for its staging in depth. For the stage historian, here were precious examples on show of vampire traps and star traps – types of trapdoor enabling performers to disappear and reappear through the floor at astonishing speed. Opinion afterwards was that Pathé had to have followed Georges Méliès’ lead and to have constructed its studio either from a theatre or by importing theatrical machinery. Not for the first time in the evening some argued that the film must show a scene inside a theatre – a holy grail for the theatre historian, again yearning to see what an actual audience member saw. But it was so much easier to recreate the effects in the studio than to go to the huge expense and inconvenience of setting up cameras in a theatre, with the considerable arc lighting that would have been required to illuminate the proceedings sufficiently. All of the films we were shown were filmed in a studio of one sort or another – with one astonishing exception, which we’ll come to. The Whip (USA 1916) was a feature film version of a renowned Drury Lane drama about the attempts to nobble a horse, which on stage featured a sensational rail crash. What overwhelmed audiences when they saw it in a theatre was par for the course on the screen, and the realistic nature of Maurice Tourneur’s drama – from which we saw the sequence where the locomotive crashes, with the horse (The Whip) saved just in time – seemed worlds away from the theatre. The film could thrill, but it could not astonish. Rather better as a film was Pimple’s The Whip (UK 1917), a cheerfully stupid parody of film and play, in which the rescue of the horse (a pantomime horse) needs to be repeated a number of times because the train driver keeps on getting his cue wrong. As a practitioner of deconstructed comedy Pimple (the nephew of Will Evans, who we had seen earlier) seemed remarkably modern. A section opening with an armed attack by men in peasant costume, led by a girl, against an unseen enemy. A painted backcloth represents mountain scenery and a bridge is in the foreground. The men and girl vanish at the aproach of two horse-drawn coaches from opposite directions which endeavour to cross the bridge simultaneously; water suddenly cascades down from the mountains, collapsing the bridge and plunging the horses and coaches into the water. Described thus, it reads like part of a film scenario which we would expect to be divided up into a number of shots. But we see the entire action in one long shot, clearly filmed inside a hippodrome theatre, and featuring the stock-in-trade of hippodromes, a troupe of horses diving into the water. The effect is jaw-droppingly extraordinary. But what is the show, and who made the film? We don’t yet know. It’s quite likely that the film shows a 1902 show called The Bandits (described here), but no record has been found of any film made of the production. The filmmaker is possibly Walter Gibbons, future owner of the London Palladium, who we know filmed another Hippodrome production, Tally Ho!, around the same time, using an overpowering number of arc lights. But until we know for sure the film remains frustratingly fugitive even while it almost uniquely gives you the sense of truly being in the presence of the Victorian/Edwardian theatre at its maddest and boldest. Trilby (UK 1914) is a disappointingly stolid piece of work. 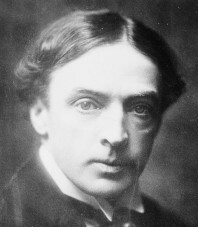 Its interest for the theatre historian is that it stars Sir Herbert Beerbohm Tree, in all his eye-rolling glory, as Svengali, but it fails to mesmerise. People talking afterwards noted the different acting styles of Tree and Viva Birkett, a florid Victorian manner alongside a subtler, even Ibsenian performance from her. It was good then to see Edison’s parodic Why Girls Leave Home (USA 1909), which cheerfully sends up every convention of the melodrama, including over-the-top acting, malfunctioning stage machinery and plot absurdities. The full film originally included a framing story in which a vicar tries to prevent his daughter from seeing a play, but she does so, and this is what she sees. Unfortunately what survives (held by the CNC archive in France) is in a dreadful state, with the image barely distinct, making us strain all the more to see laughs than would otherwise be the case. But it was clear that the Edwardians knew exactly how to laugh at the Victorians. We finished with a long sequence (the tribunal scene) from The Only Way (UK 1926), an adaptation of Charles Dickens’ A Tale of Two Cities, and a star vehicle for theatrical great Sir John Martin-Harvey. He first appeared as Sidney Carton in 1899, and twenty-five years later he was still playing the same role, aged sixty-three. The feature film, directed by Herbert Wilcox, tries as far as possible to duplicate the stage production, though it was a film for all that and an engrossing example of the complex interrelationship between the two media. This came out in Martin-Harvey’s performance, which was a mixture of extravagant gestures and fine details that only the camera could pick up. It was pure ham from the theatrical knight, and you saw in his eyes someone who had played the same role a few hundred times too many, but you also saw such star magnetism that his great fame instantly made sense. Silent film was profoundly indebted to the Victorian theatre. Actors, acting conventions, plays, genres, types of stage effect, its kudos, all had a huge effect on how the silent film grew. We can look at silent films and see endless traces of its Victorian stage origins, not just in films that clearly emulate a stage experience, but more subtly in how films were constructed, what they wanted to be, and then what they reacted against when they felt themselves outgrowing their theatrical inheritance. But we cannot simply look at silent films for direct evidence of stage practice. Film changes everything it touches. Stage acts were changed to fit the dimensions of film – literally so, when the space in which a film could be made was smaller than stage space. The conventions of theatre were not so much borrowed as adapted for film, and then blended with the conventions of film itself. Also, film was not static, but changed greatly over the twenty-five years that we saw, during which the relationship between the two media grew ever more complex. In the end we witnessed not so much examples of stage practice recorded on film but rather a changing history of performance. Film became another stage for actors, dancers, comedians and magicians. Some adapted more happily than others, but as soon as they put themselves before a camera it changed them. It is that process of adaptation that film records rather than being some sort of literal mirror of what took place upon a stage. We may go looking for the evidence that we seek in a piece of film, but we will always end up finding something else. Examples of American stage and variety stars from the early 1900s can be found on the Library of Congress’ American Memory site – the American Variety Stage 1870-1920 collection – and the Variety Stage: Vaudeville and Popular Entertainment playlist on its YouTube channel. Hi Luke, I didn’t get a chance to say hello on Tuesday, but thanks for this blog post (and the nice shot of my hair!) and an excellent blog all round! Thank you – I hope the post captures not only what was shown (I wish I had had more illustrations to hand) but what was debated, though I wish there has been more time to air some issues as the idea of film as evidence of stage practice need greater examination. And I feel strangely pleased that even inadvertently I can take a nice photograph of hair. It was a great event, not just for the films but to be in the presence of such knowledgeable people who were looking at the films with different eyes to the rest of us. Certainly it wasn’t simply a case of “they didn’t do that right” but of matching what they knew to the evidence put in front of them, and learning from the experience. A very fruitful exercise. As for “The Only Way”, I’ve no idea. It sounds like one of those generic titles that could be applied to practically anything. Jack Martin-Harvey was an ancestor of mine, and it’s always good to see ‘The Only Way’ getting an outing. The name comes from the original play and refers to Sydney Carton’s decision to sacrifice his life on the guillotine – “It is a far, far better thing I do now…”, etc. Thank you for explaining about the title. That makes sense. 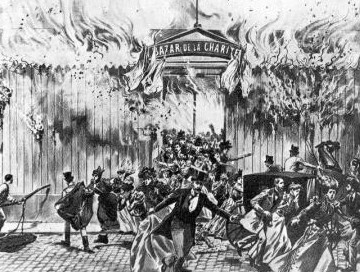 A reason for the 1899 play (and subsequently the film) to be called ‘The Only Way’ seems to have been because it doesn’t cover the whole of the ‘Tale of Two Cities’ narrative, but rather concentrates on the Sydney Carton story. I’ve just checked JMH’s autobiography. In that he ascribes the name to his wife, Nell. They’d hit a problem with their play and another based on the same book appearing at roughly the same time. Nell told him her idea as he was taking his morning bath.